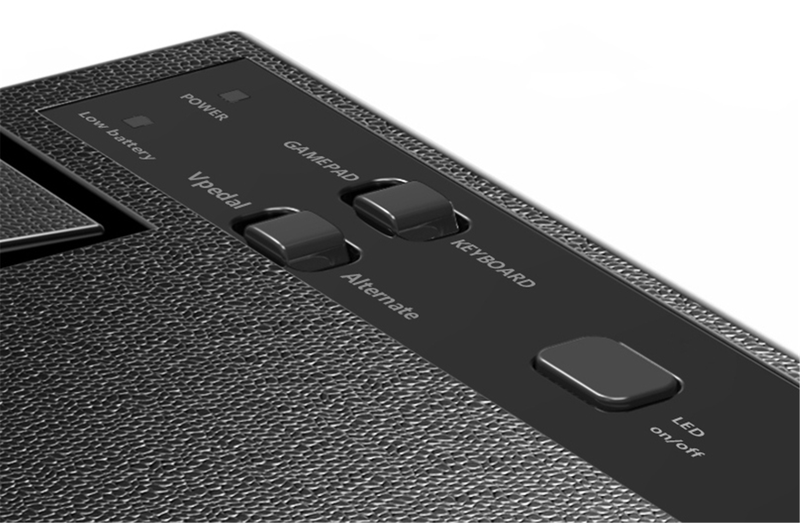 The vP-4 MKII is a Wireless Multi Modal Pedal, it can operate as a Gamepad or as a Keyboard, using a Bluetooth LE wireless connection. 4. Set the power switch to the ON position – the Power LED on the top of the pedal will go on. 5. 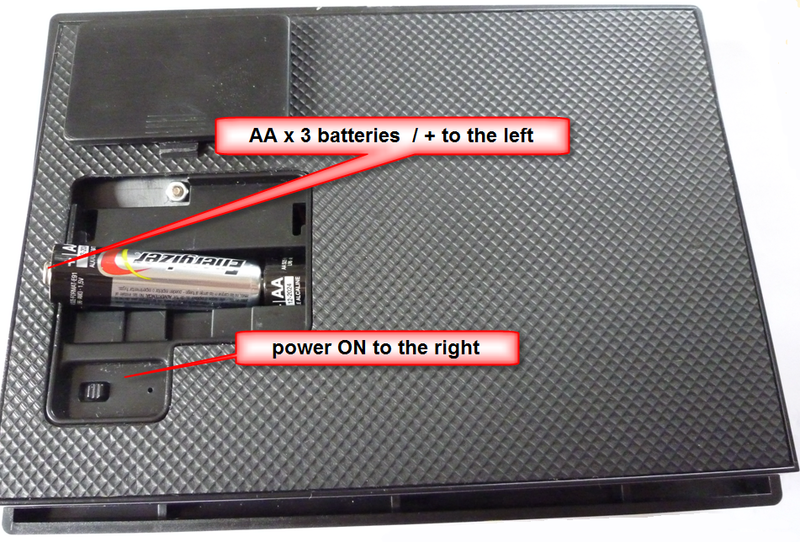 Slide the battery cover back into place ensuring that it clicks closed. 6. 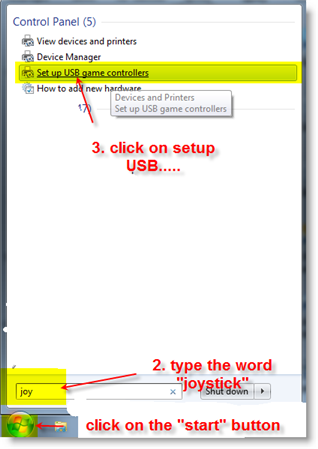 Plug the USB / receiver dongle into your computer. 8. 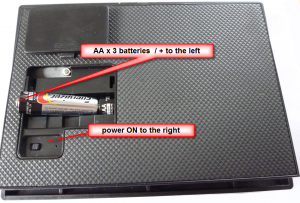 Press on the centre of the foot pedal and you should see the a red led flash at the same time on the usb dongle. This may require a couple of presses when the vP-4 MKII is first powered on, it takes a second or so for the pedal and the dongle to create a wireless link. 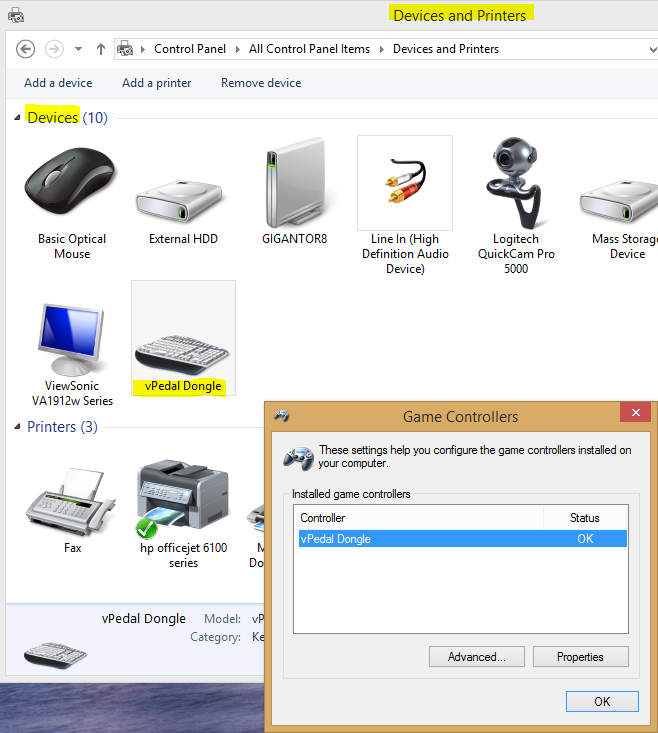 Gamepad Mode is the mode the default mode for use with a Mac or a PC. 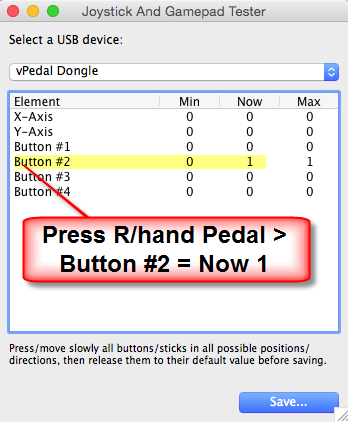 vPedal mode the mode for use with vPedal software. 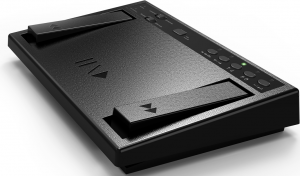 Alternate Mode allows vP-4 greater compatibility with non vPedal applications. This turns all led’s on the pedal On / Off. 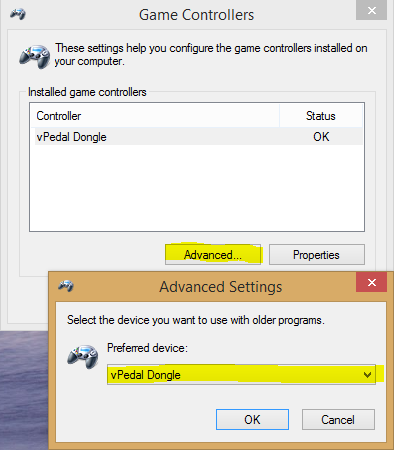 Once you have configured your vPedal, please use this option to increase battery life.. These buttons are only active when the pedal is in Keyboard mode. 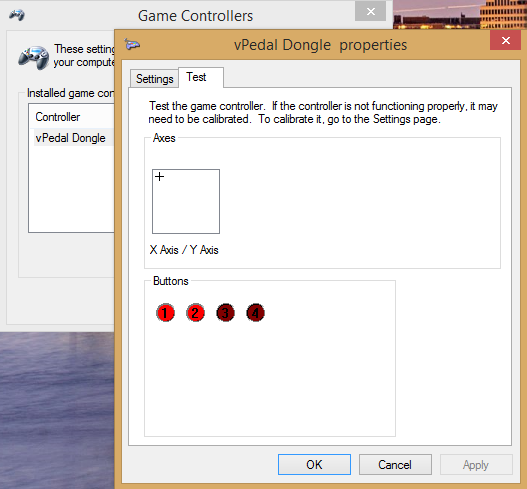 Also only the Left pedal / << and the Right pedal / >> are active, the centre pedal is disabled . 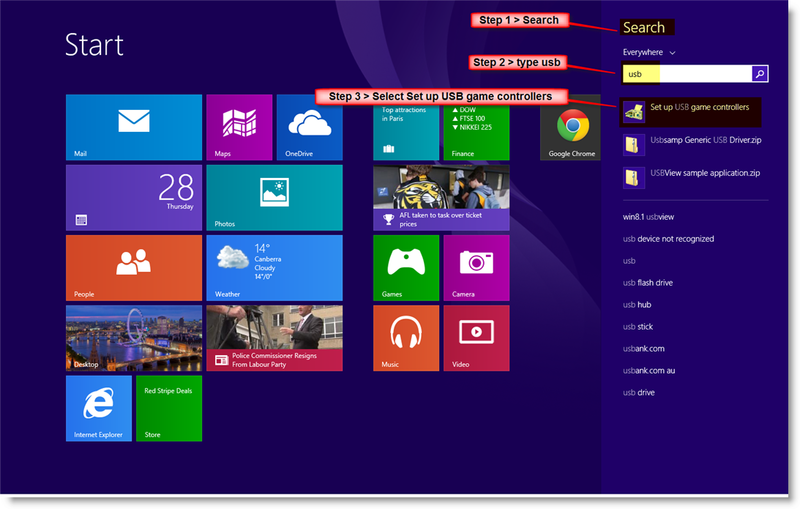 Page up / Page down – keyboard commands are sent. Arrow Left / Arrow Right – keyboard commands are sent. 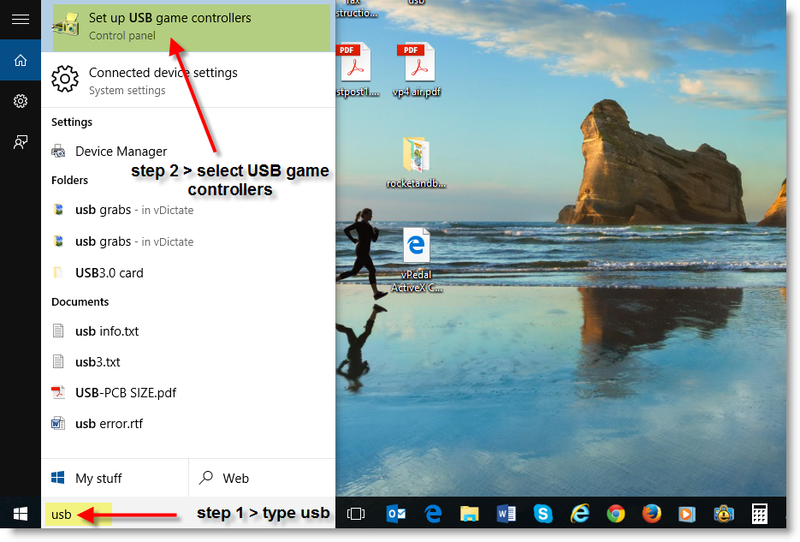 Arrow Up / Arrow Down – keyboard commands are sent to your device. 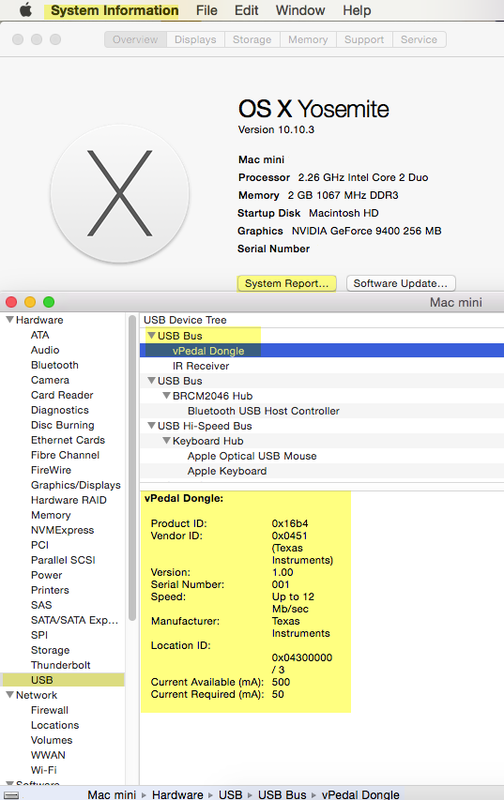 Unlike Windows, OSX doesn’t have inbuilt tools to test the vPedal dongle, but clicking on the Apple Icon in the top left hand side of the desktop will get to the System Information / System Report / USB / USB Bus report. 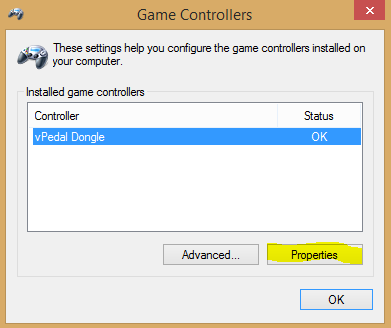 This will show that the vPedal dongle is connected. 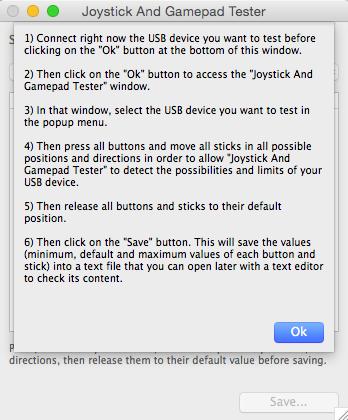 But if further testing is required, a freeware application such as “Joystick and Gamepad Tester for Mac” can be used. 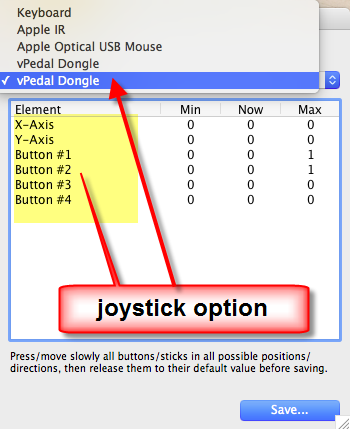 You will see 2 instances of the vPedal Dongle above. To test the gamepad / joystick actions click the second instance. 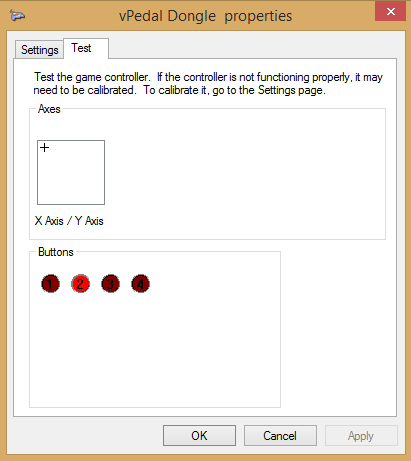 (The 1st instance can be used later to test the keyboard actions if required.) “Joystick and Gamepad Tester” will allow you to use it for free for a few minutes or so, which is enough time ensure the vP-4 MKII is working. 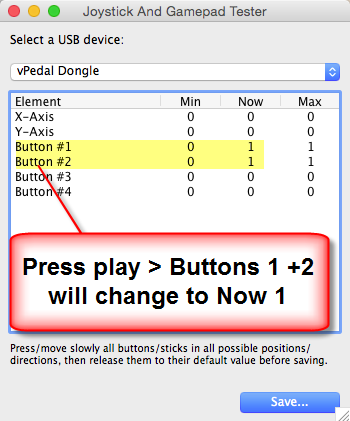 The examples below are the vP-4 switched to vPedal Mode. 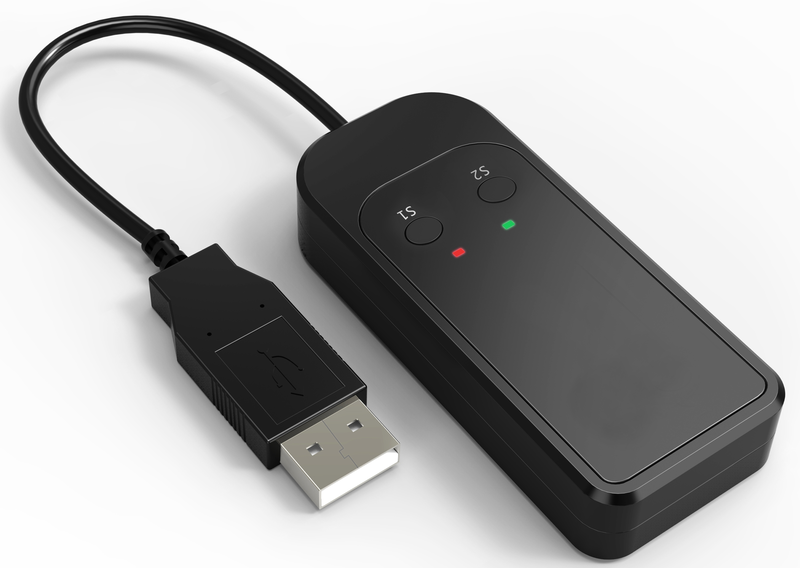 The Blue Tooth LE (aka Bluetooth Smart) was chosen because the design is optimized for low power consumption. This should deliver long battery life in normal use. vP-4 MKII Blue Tooth LE range ~ 3m approx. 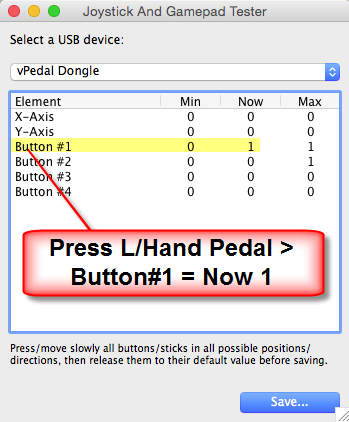 vP-4 MKII has been tested on PCs & Mac’s and is fully compatible with all the vPedal software plug-ins. 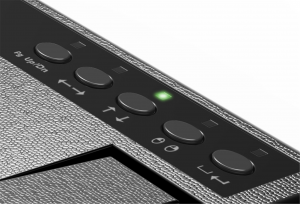 vP-4 MKII has achieved FCC + CE + ROHS certifications. The vP-4 MKII is a Wireless Multi Modal Pedal, it can operate as a Gamepad device or can be switched to operate as a Keyboard device. New in the MKII has the vPedal / Alternate Mode Switch which allows for an different sequence of button presses to be sent. 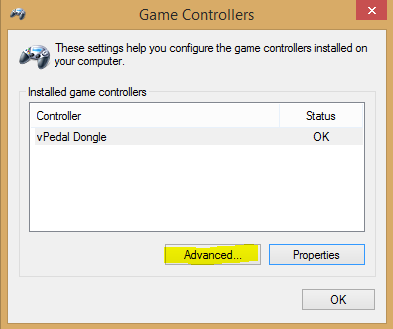 Plus it has the Gamepad / Keyboard Mode Switch. 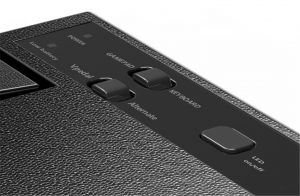 – in Keyboard mode the 5 switches on the right hand side of the top of the pedal become active. Page up / Page down ~ Arrows ~ Mouse Buttons Right / Left ~ Space Bar & Enter.